With Avengers: Infinity War about to break $2 billion at the worldwide box office, it’ll just be a matter of time before all movies are comic book movies and everyone in the entertainment industry is either developing new comic book movies or writing comic books that can someday be made into movies.. Peter Jackson is one filmmaker who intends to hold off on that for as long as possible, though, telling French website Allocine (via The Playlist) that he has no interest in comic book movies. Responding to a rumor that he was in talks with Warner Bros. about making a DC superhero movie, Jackson explained that he has had “no discussions” about that because he’s “not a fan of comics.” He even says he’s “never read any,” which makes us think Jackson has secretly been a cool jock this whole time. 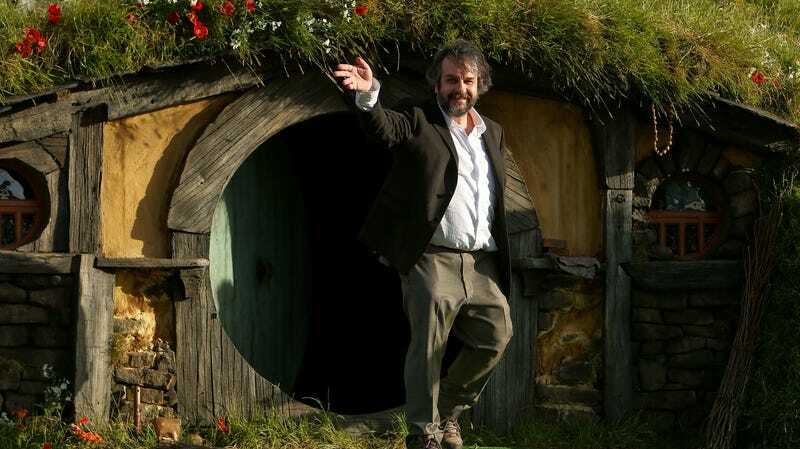 Speaking of things that Peter Jackson isn’t doing, he also explained that he’s “not involved at all” with Amazon’s Lord Of The Rings TV show. That seems pretty definitive, but he also told the German branch of IGN that he’s helping to put together the “creative team” for Amazon’s show (via Consequence Of Sound), so it’s unclear if he’s really involved or not. Either way, the show is still going to be absurdly expensive for Amazon to produce.